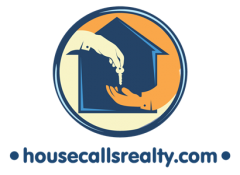 House Calls Property Management, LLC grew out of a family owned business House Calls Realty. It continues to service its Colorado investors with the same local dedication and premiere customer service instilled by those family values. Our innovative business model integrates the customer service and management disciplines of the institutional property management industry at a local level. This unique approach and our commitment to hiring the very best professionals have resulted making us one of the most respected and trusted local property management companies along the front range. Our smaller size and local market expertise means that we can provide better service and be more responsive to both our residents and our clients. Our dedication to redefining excellence in renting means we’re constantly exploring innovative ideas and pioneering new ways to serve our residents and clients. Please call us to find out how we can help you achieve your goals: 303-476-8454.